Home › Energy-Efficient LED Lighting › Camping Lantern-Led Lantern For Tents Camping-Ultra Bright Camping Uquiment M.. 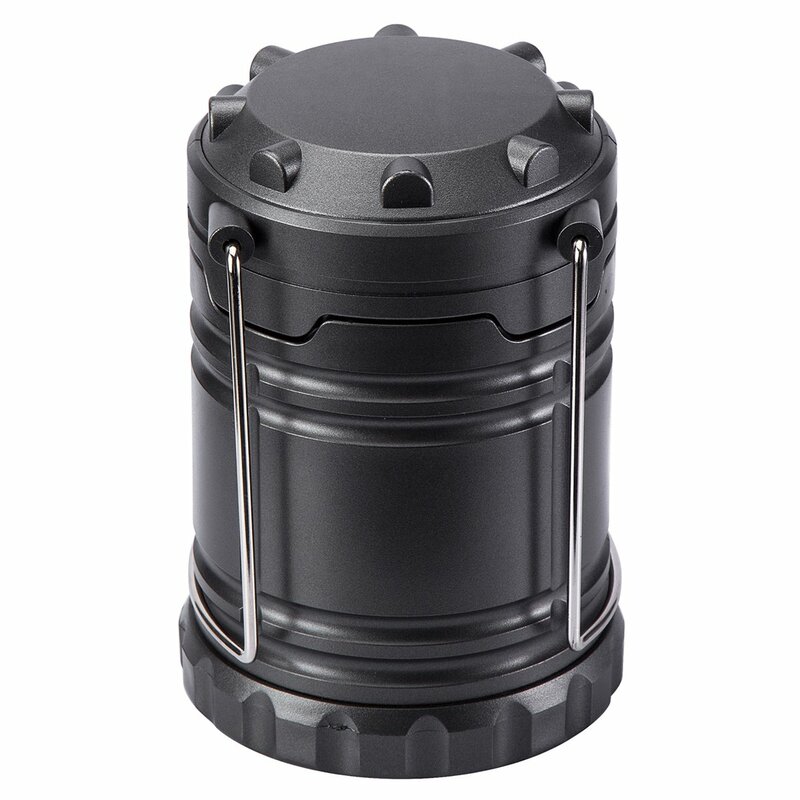 Camping Lantern-Led Lantern For Tents Camping-Ultra Bright Camping Uquiment M..
ULTRA BRIGHT: Built with 30 individual low powered LED bulbs, Carry 360 degree of luminous light while saving energy, release the strong light. LOW ENERGY CONSUMPTION: Light up to 12 hours of regular, continuous use with enough battery capacity. The lantern is compatible with rechargeable batteries. FOLDABLE DESIGN: Suspend the lantern or carry with ease. Ideal for outdoor trips or emergency events. The lantern is easily collapsible with a simple push. RELIABLE MATERIAL: Constructed with military grade; promising long-time durability, no matter where you go. The lantern is built for both the indoors and outdoors. PORTABLE INSTRUMENT: The extremely lightweight build allows you to take your lantern on the go with ease. When not in use collapse the lantern to a smaller size; store it effortlessly, taking little space. Multifunctional Practicality No matter where you are or what you are going to do, our Collapsible CampingLantern would provide you a safer range of visibility Also you can control the brightness through regulating the height of lantern, it will release the different level of brightness to meet your requirement! It is ideal for any outdoor or indoor activities, no setup or prepping withfires or oil take your summer camping at anytime and anywhere with this wonderful CampingLantern! enjoy your holiday without any anxiousness, we'll take care of the rest foryou! Lightweight & Ultra Bright With the water-resistant plastic (military grade material) design, it isextremely lightweight and practical to use in a high range environments, there is almost no feeling of weightiness, the best choice for camping,tricking, treating or power outages Whether used for camping, trick or treating, or power outages, this lanternwill provide up to 12 hours of bright omnidirectional LED lighting to see yoursurroundings. When the battery power of the lantern runs low, the brightnesswill dim to an energy saving mode to provide longer lasting illumination (upto 4 hours of low power usage).? Note: Of the total 12 hours, 8 of the hours are at high brightness, the lastfour hours are at a dimmer brightness for low energy consumption. Battery not inclueded.